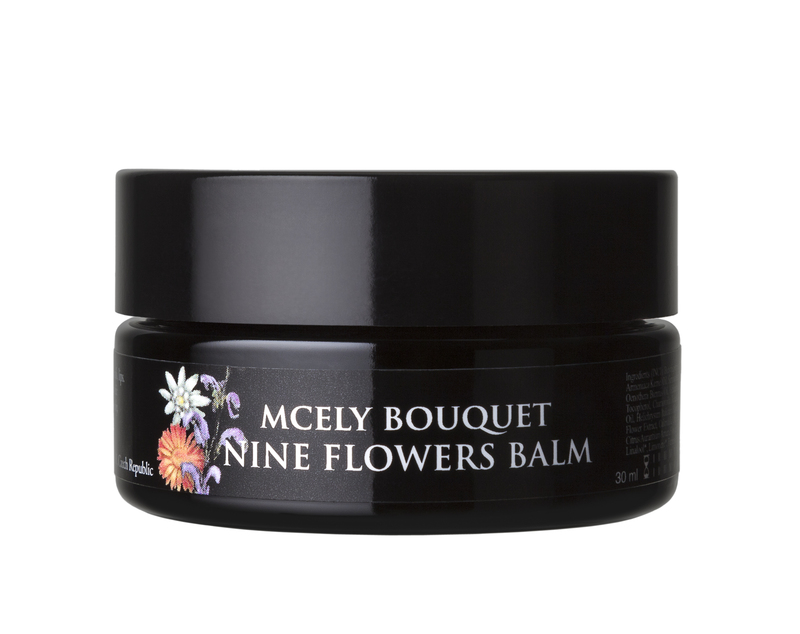 This nourishing Nine Flowers intensive balm is formulated to regenerate irritated and blemished skin over the entire body, including the face. Apply in a thin layer on the irritated area. Sea buckthorn essential oil is a rich natural source of vitamins A, C and E, carotenoids and amino acids, and helps in restoring cellular tissue. The restorative effects are supplemented by evening primrose and jojoba oil with shea butter and locally grown Nine Flowers herbal extracts. The rare elixir of the rarest essential oils - Damascus rose otto, neroli, chamomile, yarrow and strawflower - will help reduce blemishes not only on the body, but also on the soul. Sea buckthorn, immortelle, rose, camomile, yarrow, neroli, daisy, melissa, calendula. Tip: When suffering from nervous tension, depression or melancholy, massage the elixir into your temples.